Fourteen soldiers died in an attack on an army post in the southern province of Daraa on Friday. Free Syrian Army (FSA) rebels killed more than 100 Syrian soldiers in two days, a watchdog said Friday, told the Jakarta Globe. Fourteen soldiers died in an attack on an army post in the southern province of Daraa on Friday, according to the Syrian Observatory for Human Rights. This came only one day after the army suffered 92 losses. This, according to the Jakarta Globe, was the highest daily total for the military of the 19-month-old civil war that has left more than 32,000 dead. According to the AFP, there has been an average of 20 deaths per day. 2,000 deaths have been reported since August. “As fighting raged on the ground, including in the northern provinces of Idlib and Aleppo, a war of words between Syria and Turkey grew angrier after Ankara said it had found military supplies on a passenger plane it intercepted en route between Moscow and Damascus.” read a story in the AFP. 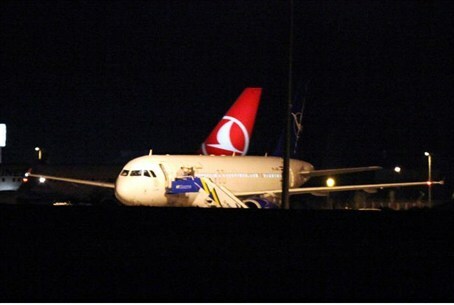 Ankara had deployed two jets on Wednesday to force a Syrian Air passenger plane (carrying 35 passengers) to land, according to Turkish officials. The plane was held up on the ground for 9 hours, before it was permitted to return to Damascus. The Syrian foreign ministry has accused Turkish Prime Minister Recep Erdogan of lying when he claimed the Syrian jetliner had been carrying Russian munitions on its way to Assad regime forces in Turkey. "The plane did not carry ammunition or military equipment and Erdogan's comments lack credibility and he must show the equipment and ammunition at least to his people," said the intelligence ministry. On Friday, in the district of Halab al-Jadida, anti-regime protests were held until regime forces opened live fire, according to a source. In Derbassiyeh, a Turkish border town, “dozens of clapping children followed by women led a procession of hundreds waving Kurdish and Syrian revolutionary flags and chanting: ‘The people want the fall of the regime! ', according to the Jakarta Globe.